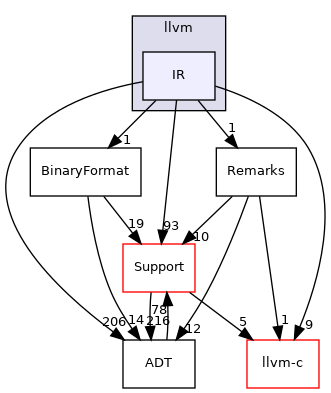 This file provides various utilities for inspecting and working with the control flow graph in LLVM IR. This file contains the declaration of the Comdat class, which represents a single COMDAT in LLVM. This file contains the declarations for the subclasses of Constant, which represent the different flavors of constant values that live in LLVM. This file defines the Pass Instrumentation classes that provide instrumentation points into the pass execution by PassManager. This header defines classes/functions to handle pass execution timing information with interfaces for both pass managers.